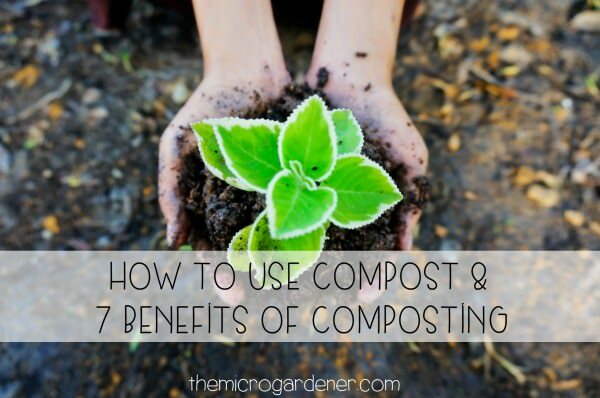 Build soil health by adding vital nutrients with compost. 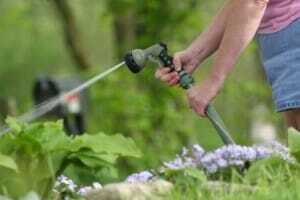 Are you struggling to keep a garden alive in a dry climate? On water restrictions? Have limited access to water? Want to save time and money? I know what it’s like to grow food and an ornamental garden in difficult conditions and have discovered many simple ways to solve this problem. The cost of this precious resource is rising all the time. We can all tread a little lighter on the planet by taking a few moments to re-evaluate our garden design and watering habits to eliminate inefficient practices that waste water … and reap the benefits at the same time! 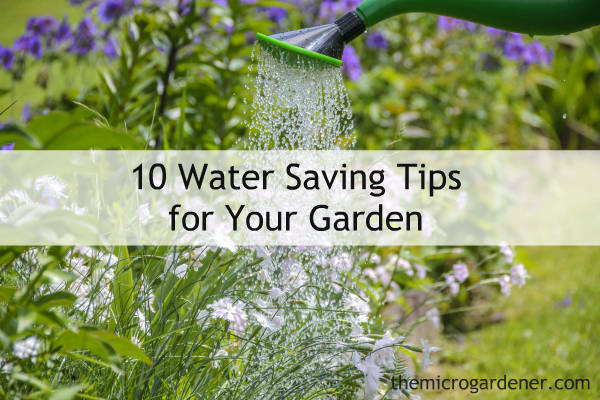 Here are my ten water saving tips to help you conserve and manage water efficiently, put money in your pocket and garden more sustainably. Take a moment to rethink how much water literally goes down the drain at your place. Pick one of these ideas to start saving time and money in your garden. Research* shows that the timing of when you water pot plants during the day can have a significant effect on plant growth. The potted plants used in the research were grown in pine bark based potting mix (which is not only commonly used in the nursery industry, but also is a popular choice for many home gardeners.) Pine bark based potting mixes however, have low moisture retention properties, meaning pot plants dry out more quickly.